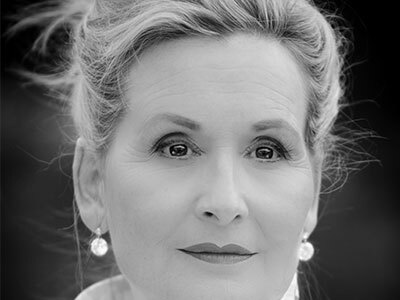 Janis Kelly has performed with English National Opera for over 30 years. She received worldwide acclaim for her portrayal of the title role in Rufus Wainwright’s Prima Donna, which she performed at the Manchester International Festival (World Premiere), Sadler’s Wells, Toronto, Portland, in concert at the Royal Opera House and Teatro Real, Madrid. Previously at ENO: Marcellina The Marriage of Figaro Mrs Grose Turn of the Screw, Hazel George Perfect American, Mrs Naidoo Satyagraha, Alcina, Despina, Pat Nixon Nixon in China, Romilda, Trash Fairy Queen, Yum-Yum, Squire/Flower Maiden Parsifal, Iris Semele, Rose Street Scene. Notable engagements elsewhere: Mrs Rutland Marnie (Metropolitan Opera‚ New York), Pat Nixon (Met); Lady Billows (LA Opera); title role Wainwright’s Prima Donna (Toronto, Melbourne, ROH, Madrid, MIF, Sadler’s Wells); Mrs Lovett Sweeney Todd (WNO), Nella Gianni Schicchi, Madame Jouvenot Adriana Lecouvreur (ROH); Berta Il barbiere di Siviglia (ROH, Glyndebourne); Miss Jessel, Mrs Coyle Owen Wingrave (Toulouse); Mrs Julian Owen Wingrave (Aldeburgh and Edinburgh Festivals); Christine Intermezzo (Buxton Festival); Façade (with Sir Mark Elder), Marschallin, Lania Skin Deep, Countess, Violetta, Vixen, Magda La Rondine (Opera North); Rosalinde (Scottish Opera, Opera Ireland); Pat Nixon (Athens); Foreign Princess Rusalka, Governess Turn of the Screw, Kuma The Enchantress, Alice Ford, Queen Clementine Barbe-bleu (Grange Park); Iris (Vlaamse Opera, Aix, Proms), Sarah Clemency (ROH2 and Edinburgh International Festival) and performances of her two-woman show Fast Forward Figaro. She can be seen as Liù Turandot in the film The Life of David Gale and Violetta in Woody Allen’s Match Point, and heard on numerous soundtracks including ITV’s Morse, Lewis and Endeavour. Recordings: A Little Night Music, Street Scene (TER Records); films of Figaro, Così, Don Giovanni, The Knot Garden (Opera Factory/Channel 4).